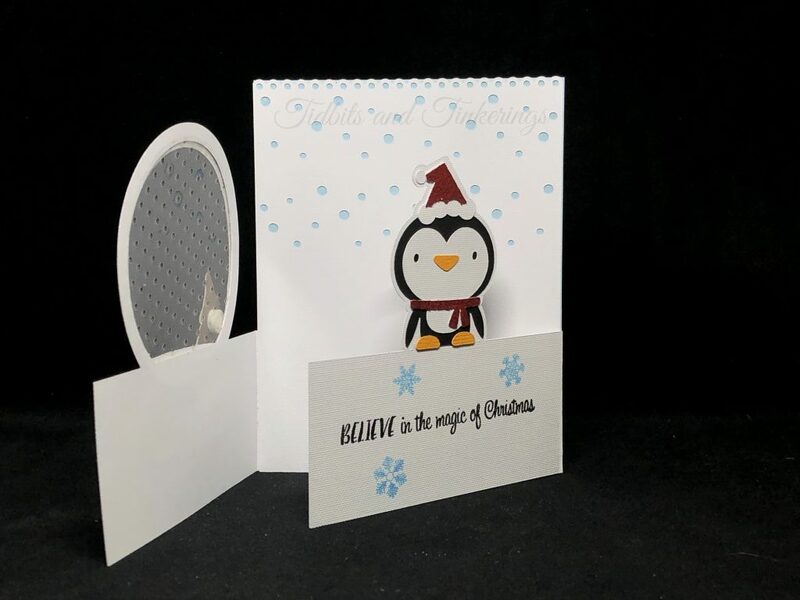 A fairly simple to assemble Christmas card. I used acetate for the "glass" globe and embossed it using the swiss dots folder. You'll have a fold on each of the front pieces, I sandwiched those between the white and blue cardstock so that they aren't visible. The only extra I did was use foam squares on the tree to add dimension. There's space on the inside for a sentiment as well as on the inside flap (I stamped on that).